CLICK THE LINKS BELOW TO VIEW OUR MENU OFFERINGS OR SCROLL DOWN FOR DESCRIPTIONS! All menus can be ​customized to fit your needs - be it budget, special requests, preference, or food allergies! ​The sky is the limit when it comes to creating your perfect menu! Our 25 years of industry experience opens the door to a huge variety of menu possibilities. Our chefs have a vast knowledge of numerous cuisines; from Italian and Mexican to Asian and American...you name it! Creating custom-tailored menus to suit any palate is our specialty, and our chefs are always cooking up something new and exciting! We are more than happy to provide taste tests, free of charge. One bite and you'll understand why we're the best around! ​Contact us today to set up a consultation or taste test! 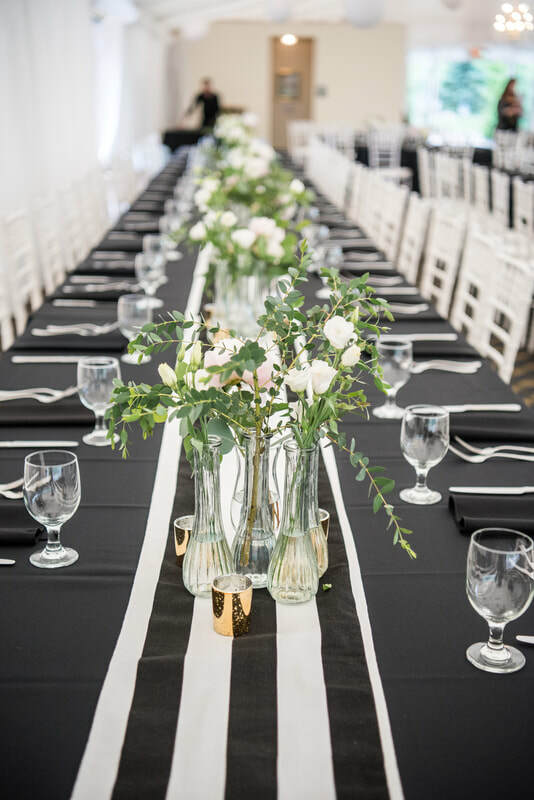 Your perfect day deserves a perfect menu, and we're great listeners! Let's work together to create your perfect menu! Pinkies out! 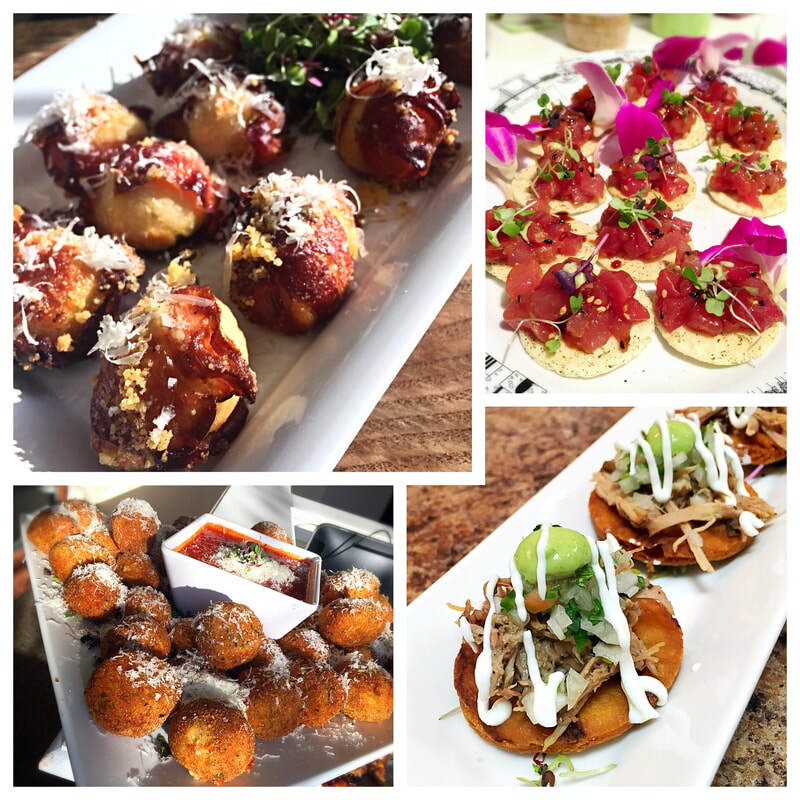 Slip into your best outfit, grab a drink, and satisfy your appetite with our eclectic small plates! Breakfast, lunch, or dinner...quick and easy ordering for the boardroom warrior. We'll be there to keep you fueled up for your big meeting! Freshly grilled burgers, dogs, and chicken, whole roasted pigs and world famous potato salad...traditional backyard American BBQs done the right way! ​Home, office, or banquet hall...our buffet menus are designed to go anywhere! Let our staff take care of everything while you relax and enjoy your event!